Mind Matters is a peer led project that helps young people become aware of mental health and wellbeing issues. Mind Matters is looking for volunteers to join the project to become trained Mind Matters peer educators to help deliver mental health awareness to other young people through local youth venues in the community. Mind Matters volunteers will receive training in mental health awareness and wellbeing. This will be In partnership with the Primary health team in Torfaen. Each volunteer will receive ongoing support through one to one personal development reviews to look at areas around skills and experiences gained and progression. 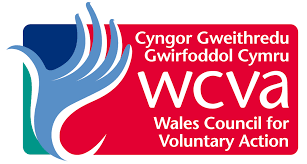 All volunteers will be registered to receive their Millennium Volunteers awards and Torfaen Mayors Award. Interest in and commitment to supporting mental health activities as defined by programme. Interest in and ability to work with within the community on peer support projects and activities. A good communicator, a sense of humour, flexibility and a team player. Willingness to undertake any training required by the placement. Volunteers do not require own transport during volunteering hours. Good public transport links is available throughout the Borough and transport costs will be reimbursed. Induction into the volunteering role and support during commencement of the project. Initial training course on volunteering, presentation delivery and mental health and wellbeing issues. Ongoing training regarding relevant issues from Volunteering Matters staff and Public Health Wales Primary Mental Health Team. Ongoing support and supervision, both in an individual and group setting. All reasonable ‘Out of Pocket’ expenses paid. Registration to other Award Schemes, i.e. Millennium Volunteers, Mayors Award. Mind Matters is shaping the future of Mental Health awareness for young people in Gwent.